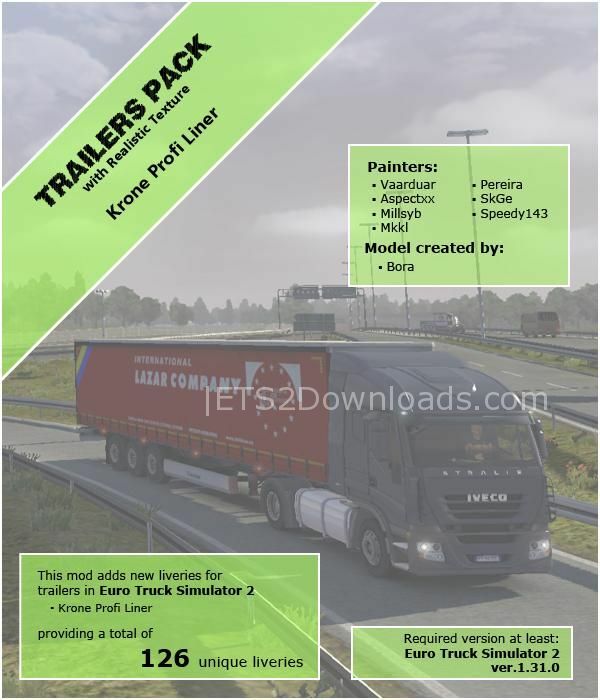 This Krone Profiliner trailer pack contains 126 skins of real companies. All of these are standalone, which supports advance coupling, lift axles, cables simulation. Plus, the pack works on any maps, available in WoT contracts and also compatible with all others trailer packs.